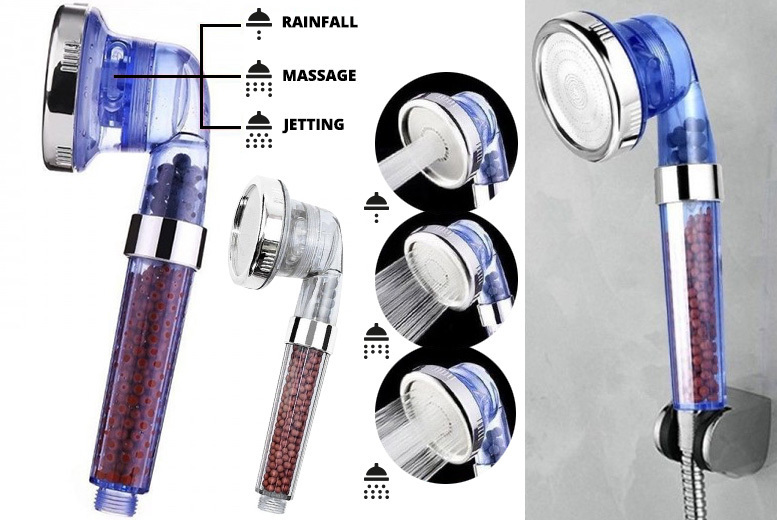 Feel energised after showering with a powerful high-pressure shower head! Choose between three functions: rainfall, jetting, and massage modes. Contains filter beads that aim to remove residual chlorine in the water. With clean and simple lines to fit in with your bathroom’s style. Valid in white and blue colours to match your décor. Can be used with almost all UK shower products*.